I know its been a few episodes since our last slug fest discussion of Tomino and Takahashi shows, but were back for round 2 this time with the infamous Space Runaway Ideon and the better of mid 1980’s mecha shows, Blue Comet SPT Layzner. 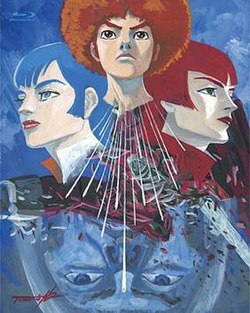 Space Runaway Ideon was the very next project director Yoshiyuki Tomino worked on right after Mobile Suit Gundam. And like Gundam, it was also cut short in its episode count, sharing the same 39 episode number as Gundam which this lead to feature films being made off each series. The only difference here is, Tomino found a way not to continue Ideon… ever again!! We then cut right on over to a show that both Jonn and I find really engaging by keeping up with the /m/subs releases, which is Blue Comet SPT Layzner by Ryouske Takahashi, This involves the Cold War stretching out to the mid 1990’s as both America and Soviet Russia have bases on the planet Mars, and how an alien invasion can mess things up. I also did a review of SPT Layzner for Regan Strong-“BAD”-blood’s own podcast Anime 82 a couple of years ago (if you wanna get to my review just skip right at the 5 hour mark… yea he made it that long…dunno why.) All this and probably some more in this weeks episode. …which may I remind you that IT DIDN’T DO SQUAT!!! This entry was posted on 09/13/2013 by zeonicfreak. 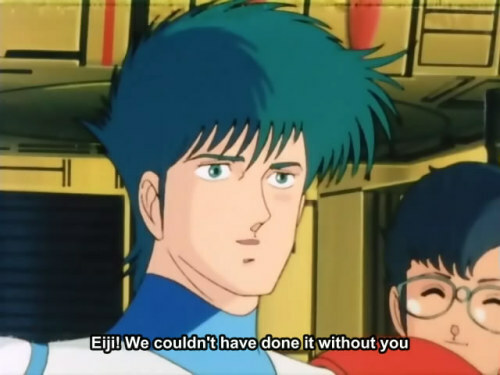 It was filed under Anime, Reviews and was tagged with /m/ subs, Anime 82, Gundam, Led Zepplin, Ryouske Takahashi, Space Runaway Ideon, SPT Layzner, Yoshiyuki Tomino. All hail Ideon, the god machine. Takahashi vs Tomino “However Long it Takes” summer. I love it. About a year ago I tried to watch/rewatch everything Gundam and Tomino but I keep getting sidetracked. There’s a lot of anime out there I need/want to watch. Like right now I’m watching Legend of the Galactic Heroes but its so long I might have to put it on hold. As far as Neon Genesis Evangelion and Ideon comparisons go, I’m pretty sure most people mean it with End of Evangelion in the sense of “everybody dies.” If you wanted to make comparisons, you could even go as far as to say End of Evangelion was inspired by Ideon: Be Invoked, and Ideon: Be Invoked took inspiration from Final Yamato. All three movies had “the same” ending of *everybody dies*. I will admit I haven’t seen Final Yamato but I’ve HEARD that the Yamato fires a laser and destroys the galaxy or some shizz. I dunno, man people want to draw comparisons to everything. Who knows if the people making the comparisons even saw Ideon and who knows if its the same people comparing Eva to Pacific Rim. BLASPHEMY HOW DARE YOU NOT WATCH ALL OF MOBILE SUIT GUNDAM TV SERIES, YOUR USERNAME IS EVEN ZEONICFREAK. Kidding, I don’t really care. Watching the movies is actually how I would recommend people try to watch Mobile Suit Gundam. I’ve tried to get people to watch the original series but everyone I’ve tried to get to watch it gets bored to death and I die a little bit on the inside. 5 hour long podcast, man how can people go on for that long. haha. I’ll be sure to watch Layzner sometime and Xabungle too. All these things have been on my Plan To Watch list. I haven’t watched much of Takahashi outside of Blue Gender, so I’ll have to look more into that. He’s apparently also worked on Votoms, Ozma, Rurouni Kenshin, and some other things I recognize. Sorry I write all these extremely long comments every time. haha. Cody your good bro, I have done the same thing also on other podcast I listen too. I’ve seen up too like ep 17 or so of the Gundam TV series, but I think the only thing I am missing is just the episodes with the weird mobile armors in them (like Zakurello and such). I plan to finish the show one day. 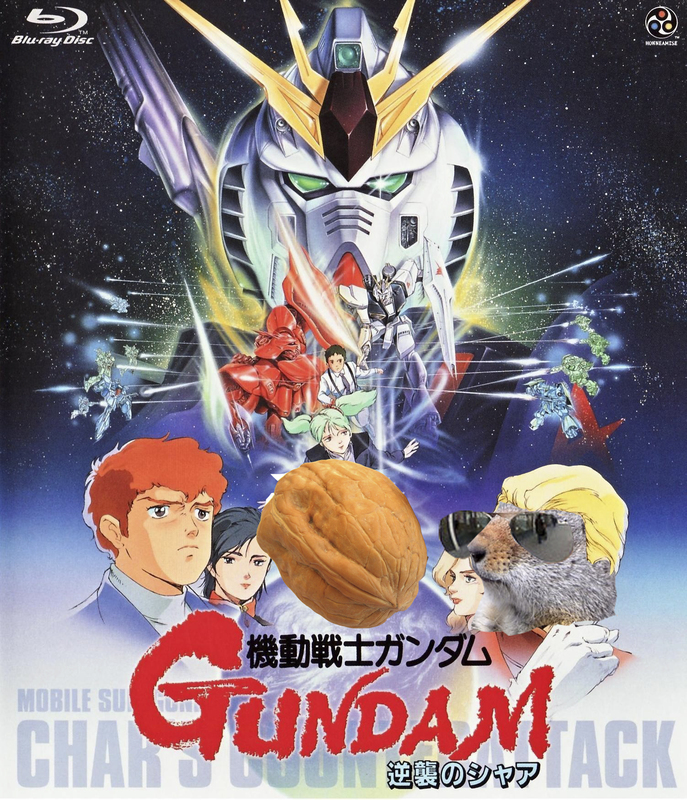 The movies are a great way to tell the story and give people what they need to know, but I knew about the original Gundam series before I ever really watched the show by reading everything about it in my freshman year of high school and playing the PS2 games we got in the states (like Journey to Jaburo, Encounters in Space, etc). I also meet friends at the school who were really into it, and that is how I got into gunpla at the time. I have seen some of Star Blazers and the first Yamato movie, so that is all I know of that series. And technically, the ending to End of Eva the people arn’t “really” dead, but are in some form of LCL that Rei did or whatever the hell. I have stated my stance on why people are wrong in comparing “Pac” Rim too Evangelion, which that will come out in a few weeks of me and Daft talking about that movie. The 5 hour podcast (technically almost 6) was me mashing up 4 recordings into one, because I didn’t know what to do with them. That was put out in the end of March if you choose to listen to that at your own free will. I started Galactic Heroes last year, but I only got maybe 8 episodes in before school took over and I kinda forgot about it, or maybe 12 ep, not sure. But for me, I would rather focus on finishing up the main arcs of Fist of the North Star before I tackle that next. I got a lot of my start with Gundam from some of those video games too. My best friend, when I was a kid, had Gundam Battle Assault 2 on the PS1. We played that game a lot and it still rules. Later I’d get Federation Vs. Zeon on the PS2 and I’ve probably played that game more than any other game. I had most of the Gundam PS2 games. I didn’t really get to see the TV series until when I was a teenager and it took me a long time to save up the money to get all 10 volumes on DVD. Funny thing when I watched it for the first time, I had Deja Vu for some scenes. At the time I wasn’t sure if the original Gundam series had been on TV and it wasn’t until years later that I looked it up on WIkipedia and I realized I did in fact watch the original Gundam or parts of it on TV before. But yeah dude, the video games, model kits, and anime and all that are all great. I have a lot of great nostalgia for Gundam. My experience with Star Blazers is that I’ve watched the first season.. and that’s about it. Yeah, people comparing Evangelion to PACRIM are dumb, I’ll look forward to it if it gets released. I only started watching Legend of Galactic Heroes recently. I saw the first two movies and got about as far as episode 3 out of about 160. haha. And college classes started for me too and I just haven’t touched it since I’ve been in school. Fist of the North Star is something I need to watch too. I feel like its probably a right of passage as an anime fan to see it. One day.. one day.. I have most of the Gundam games in the states, I think the only one I am willingly never going to get is the SD Gundam game off that CGI show that was on Toonami. I think I am missing some Gundam Seed stuff, but no big loss there.